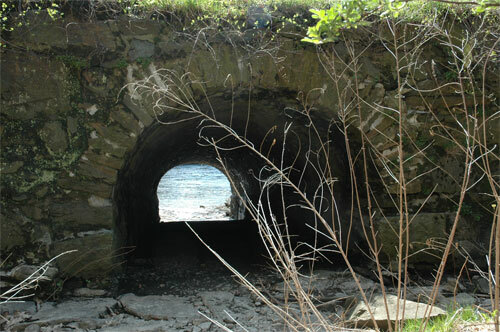 A Tunnel from the Past! 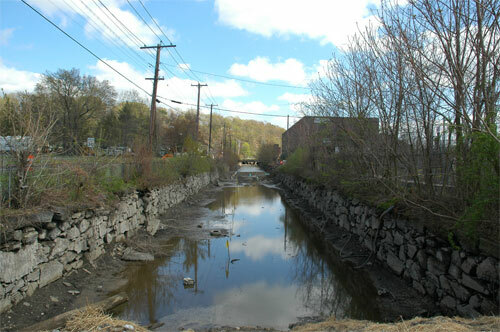 Residents can get a rare glimpse of Derby's innovative past with a drive along Roosevelt Drive while work is being done on the canals which once served such a vital role in the growth of the city's manufacturing. 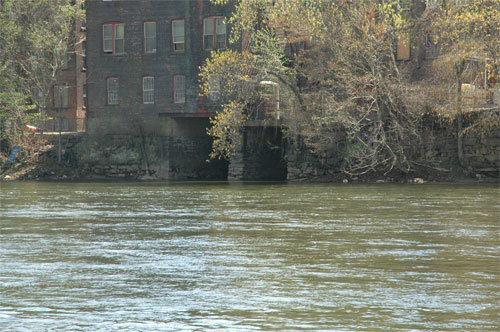 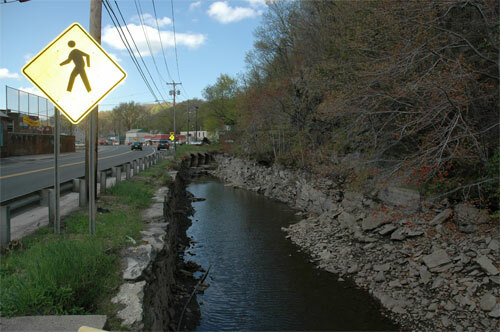 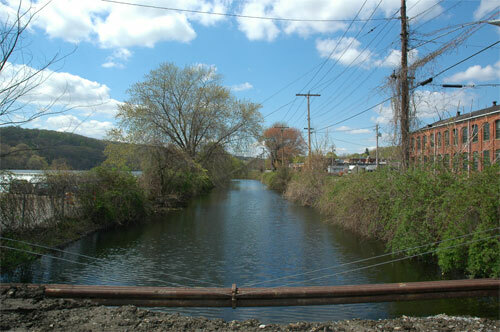 The canals came into existence with the building of the Ousatonic Dam and provided a ready supply of water for the burgeoning manufacturing growth taking place. 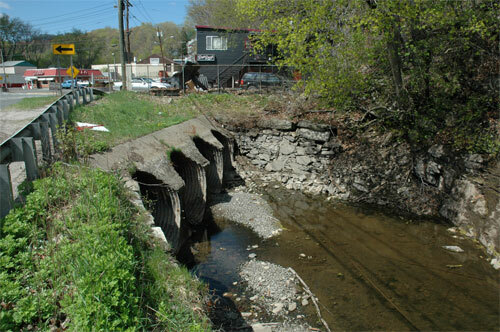 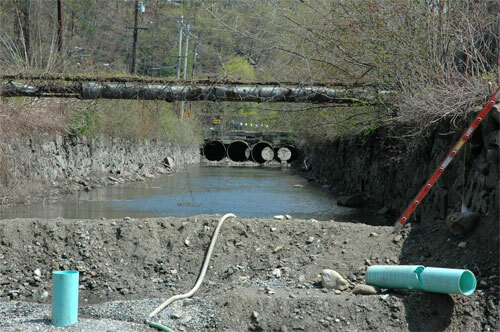 A similar canal system existed on the Shelton side of the river and many remnants still exist. 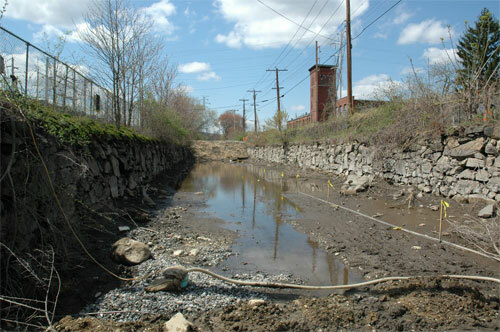 Work is currently being done on building a new bridge over the canal, and the water in the canal has been drained exposing the walls of the old canal. 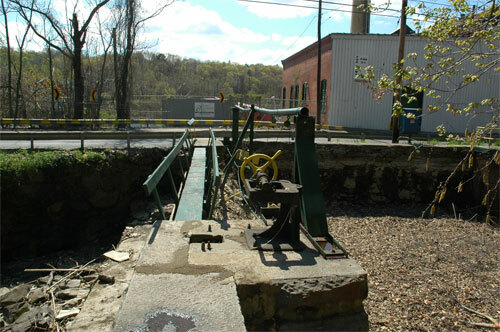 Here's your chance to take a glimpse back in time. 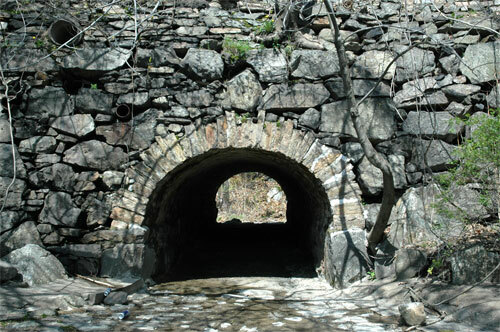 Click on each of the thumbnails to see larger pictures. 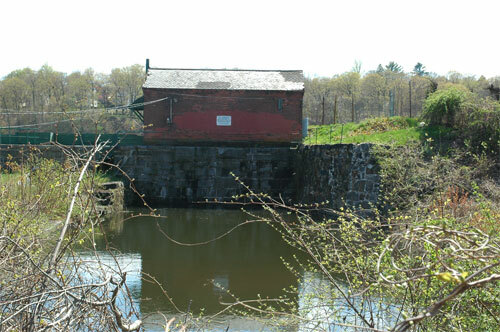 The key to the canal system is the Ousatonic Dam which dammed the Housatonic River and diverted the water into the canals. 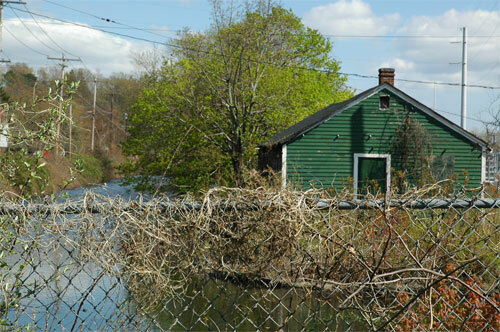 This shack and dam on the Derby side mark the beginning of the canal on the Derby side of the river. 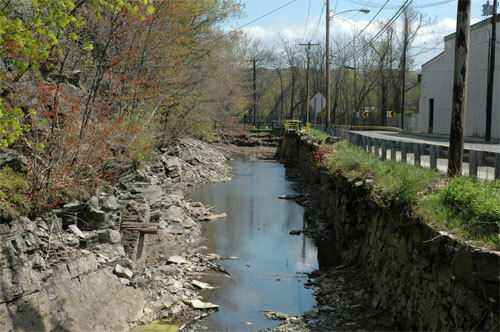 The dam turns east along Roosevelt Drive. 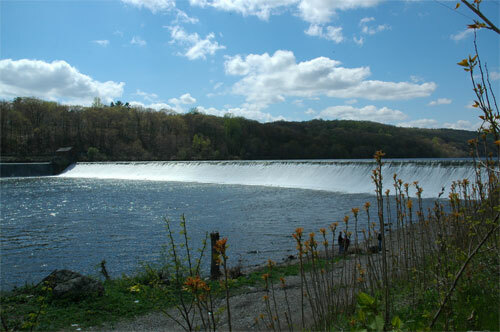 This part of the dam is at normal depth as a temporary gravel dam holds back the water from the area under construction. 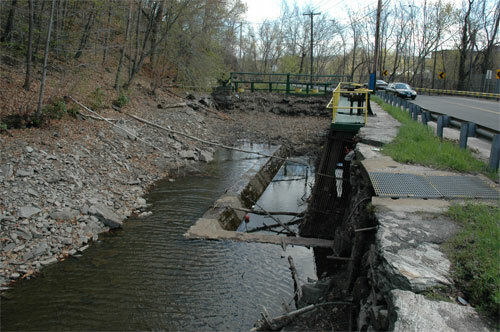 A long look down the near empty dam. 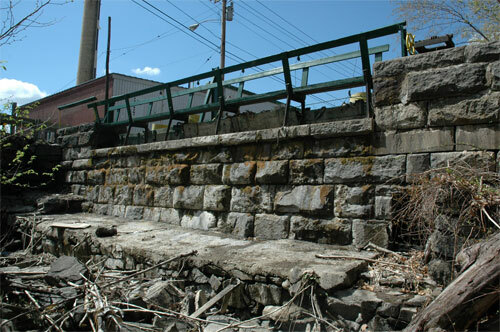 This picture gives a good glimpse of the height of the walls and their actual construction. 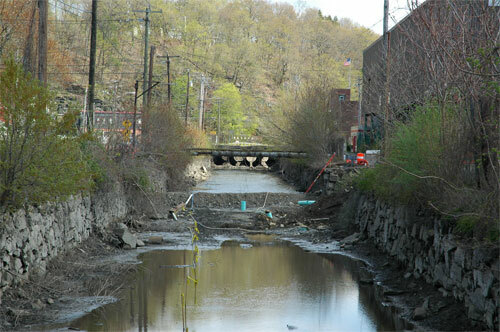 Another look eastward down the canal. 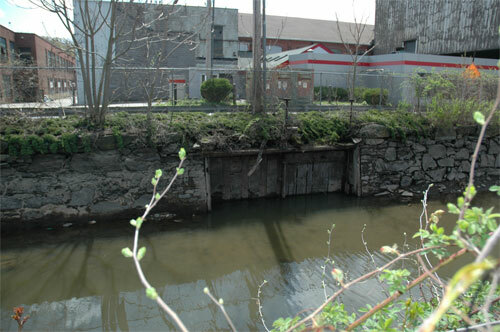 Site of the construction of the new bridge across the canal. 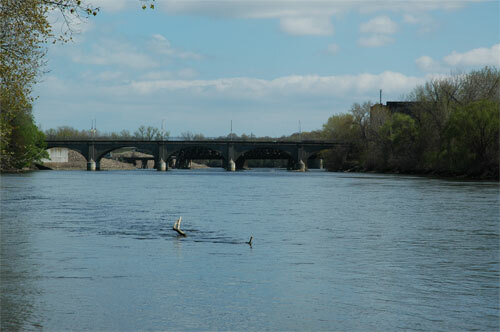 Construction work on the new bridge. 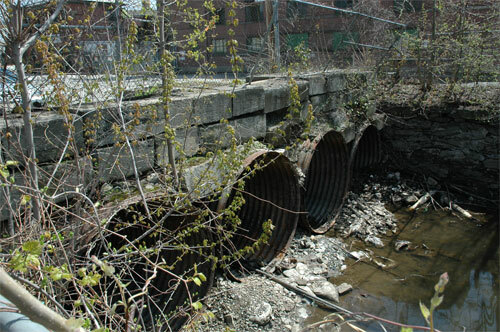 Years ago, this diversion provided water to one of the factories along the canal. 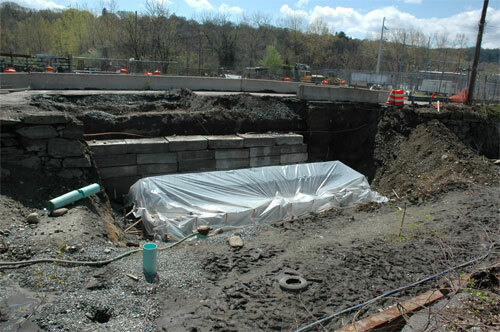 ...and emerges on the northern side of Roosevelt Drive. 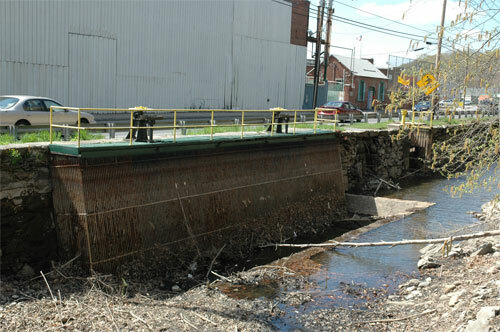 Looking eastward on the northern section of canal. 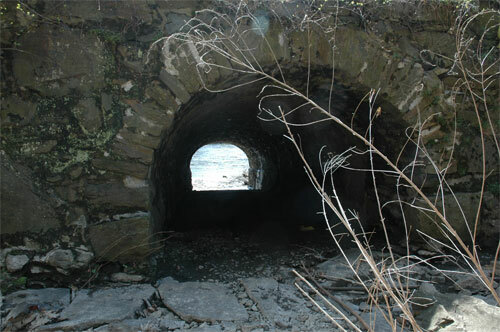 The tunnel from the river looking back under Roosevelt Drive.